A Golden Labrador needlepoint ornament by Kirk and Bradley. The dog is holding a candy cane in his jaw with snowflakes in the background. 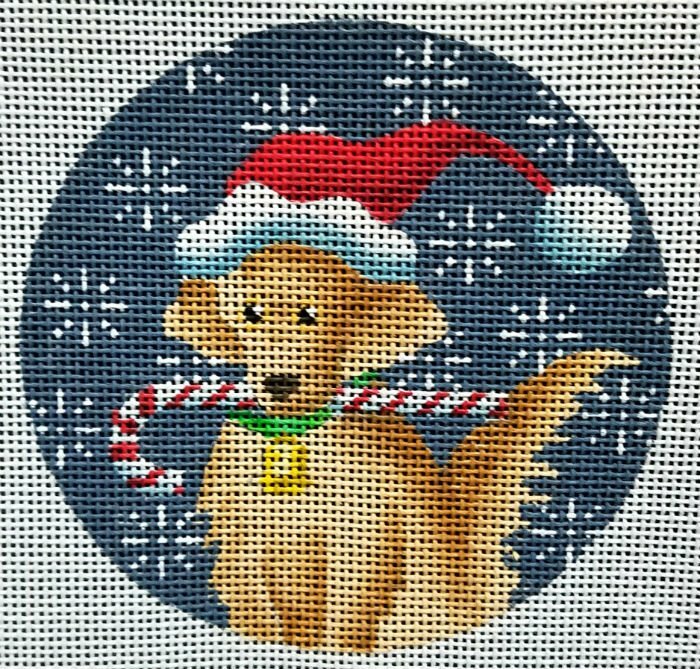 This Golden Lab needlepoint ornament canvas usually ships within 1 week. If you are in a hurry please let us know.